Is there any example code to integrate Superpowered with a swift project? Do you offer OSX example projects? 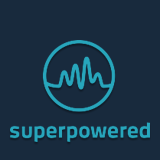 Does "Superpowered Audio SDK" mean files in https://github.com/superpoweredSDK/Low-Latency-Android-Audio-iOS-Audio-Engine/tree/master/Superpowered directory? Does it work on iOS simulators? How can I install Superpowered? How to build app with Superpowered lib for NDK less than 23? Is it possible to enable bitcode for our app including Superpowered? Are we supposed to disable bitcode when archiving an app for the App Store?